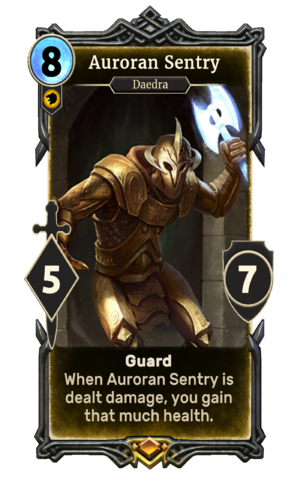 Auroran Sentry is a legendary Willpower creature card. It is part of the Core Set. Aurorans first appeared in Oblivion. For more information, see the lore article.